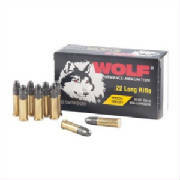 10/22 Oversize Pin Paks and other 10/22 Items on our web site. 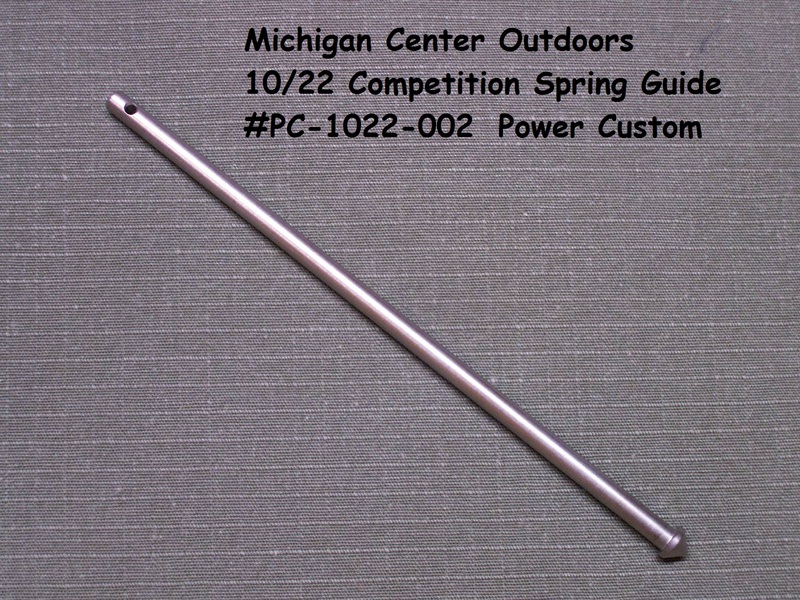 is Recommended, or use with a Power Custom Guide Rod. 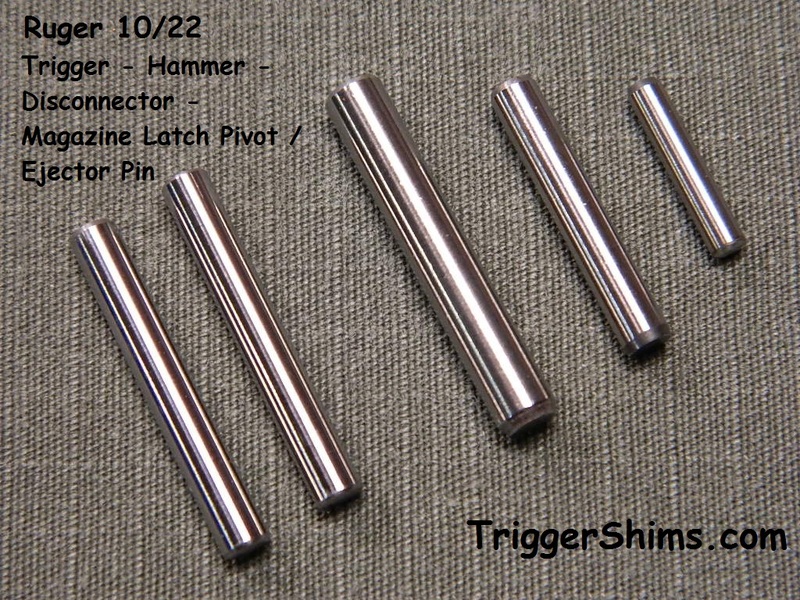 My Trigger Pin set includes 1 each - 5/32" Hammer Pin, 1/8" Trigger Pin, and 3/32" Disconnector Pin. 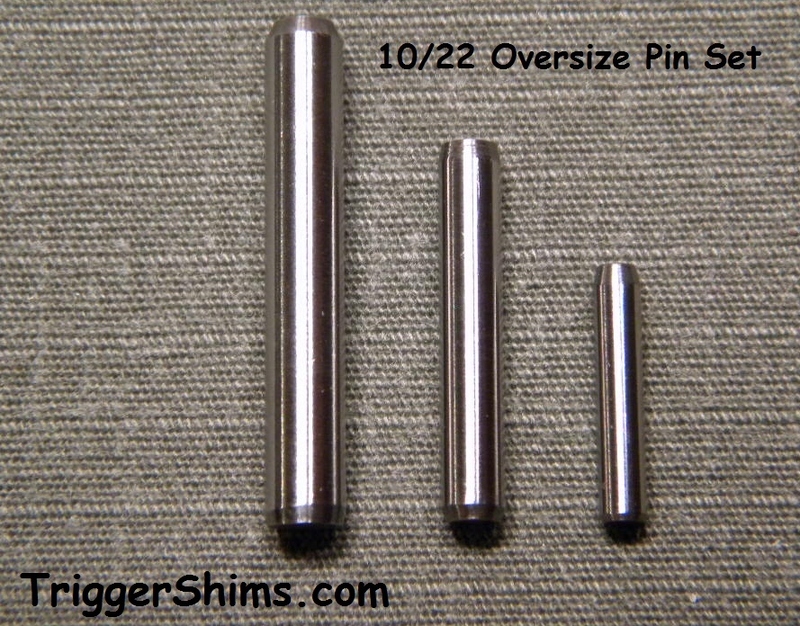 All 3 pins are Precision Ground Slightly Oversize* as opposed to the slightly undersize pins supplied by Ruger. 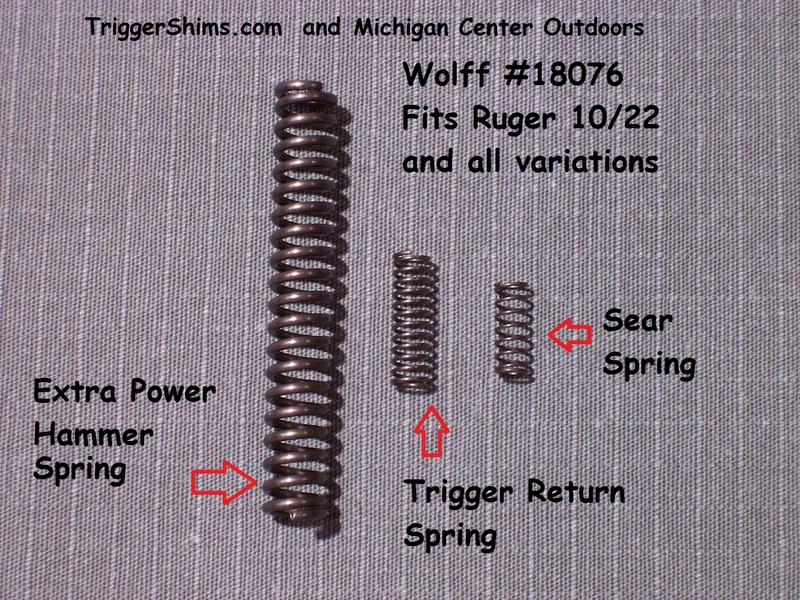 Will fit 99% of all stock Ruger Trigger Assemblies with a tighter fit. These pins are sourced only from one of the very best suppliers in the U.S. and come with my 100% Satisfaction Guarantee on both Quality and Fit. Note: Some Aftermarket Trigger Parts with very close tolerances may require you to polish pin down to fit. *These pins are .0001" to .0003" (ten-thousandths) over nominal sizes listed above. Precision Ground Slightly Oversize* as opposed to the slightly undersize pins supplied by Ruger. 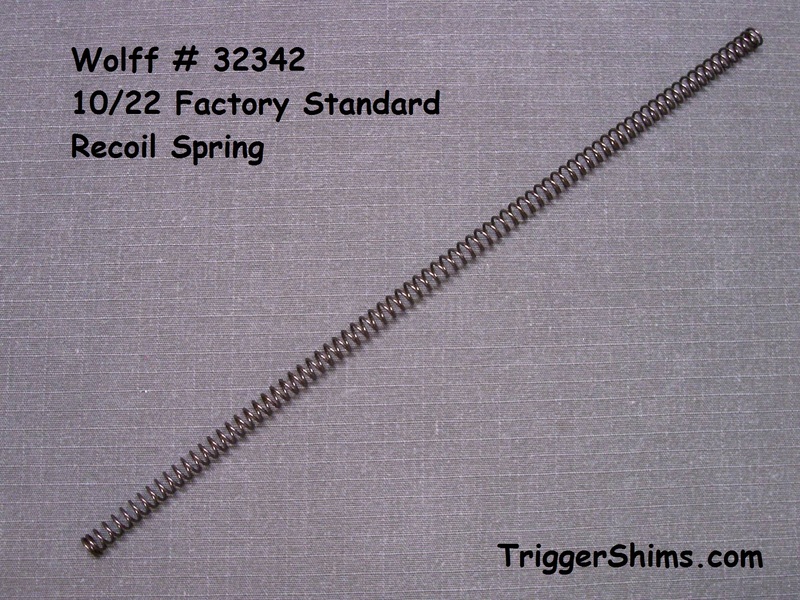 These pins are Precision Ground (very) Slightly Oversize* as opposed to the slightly undersize pins supplied by Ruger. serve the purpose, but leave something to be desired when upgrading your Trigger Assembly for best performance. Not exactly round and somewhat undersized, our Ground Stainless Steel pins are an easy-to-install improvement. The Stock Ruger Pins in my Rifle were anywhere from .0002" to .002" undersize and out-of-round with a less than ideal finish. These pins are approximately .0003" (Note: that is Three TEN Thousandths) over nominal size and ground perfectly round. On a regular dial caliper, .0003" would show up as about one width of the needle indicator. By installing the Ground Stainless Oversize Pin Pak in my 10/22T which has a Power Custom Hammer and Adjustable Sear Kit I measured over 1/2 pound additional improvement in Trigger Pull. 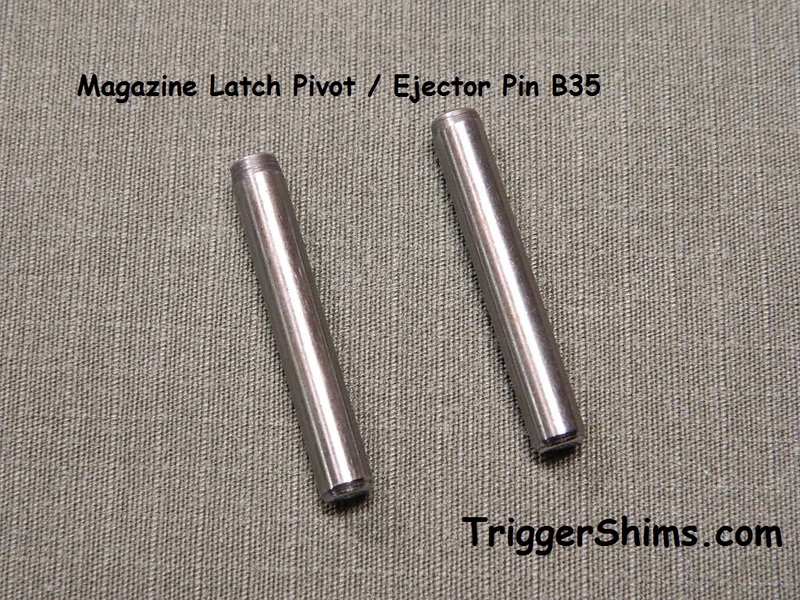 Made in the USA then Custom Ground to Length by me at TriggerShims, these pins are ready to install. Your Satisfaction is Guaranteed 100% or Your Money Back! Hello Lance, I purchased the hammer and shim kit from you late last year and with the holidays I didn't get it installed until today. I can't tell you how pleased I am with it. 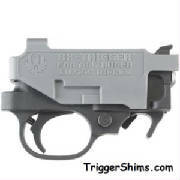 The trigger is smooth as silk and the shims have taken all of the play out of the trigger. I have tried the Ruger BX25 trigger and it isn't as nice. While it's trigger pull is light there is play in trigger. I don't have a tool to measure the trigger pull, I really don't need it. The trigger just feels better. Thank you for selling a fine product at a fair price and the individual service that you provided. Hope you and Tammy are doing well. Fit and Function is Genuine Ruger. The 10/22® BX-Trigger™ features a light, crisp 2.5-3.0 lb trigger pull, with minimal over travel. 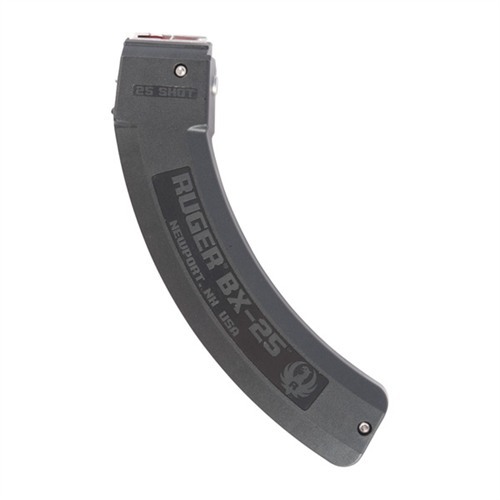 Rugged, reliable and safe (meets or exceeds industry standards for drop testing), this new and improved Genuine Ruger® Factory Accessory comes in a completely self-contained module and is easy to install. The BX-Trigger™ features a Polymer construction and drop-in installation. Fits Ruger® 10/22® rifles or 22 Charger Pistol. This Item is sold and shipped through Brownell's - click the picture to go to Brownell's BX-Trigger Page. This is a Genuine Ruger Brand 25 Round Magazine. 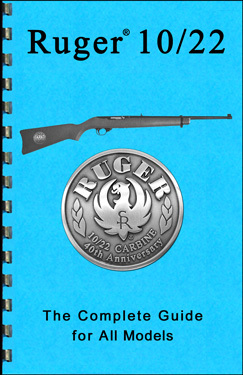 Fit and Function is Genuine Ruger. This Item is sold and shipped through Brownell's - click the picture to go to Brownell's BX-25 Page. 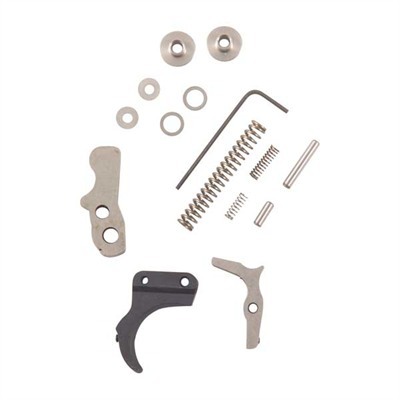 Drop-in, EDM machined parts kit includes a pre-travel adjustable sear so you can achieve a custom trigger pull that performs exactly to you liking. Matched hammer further helps reduce trigger take-up to ensure a crisp trigger pull for improved accuracy. 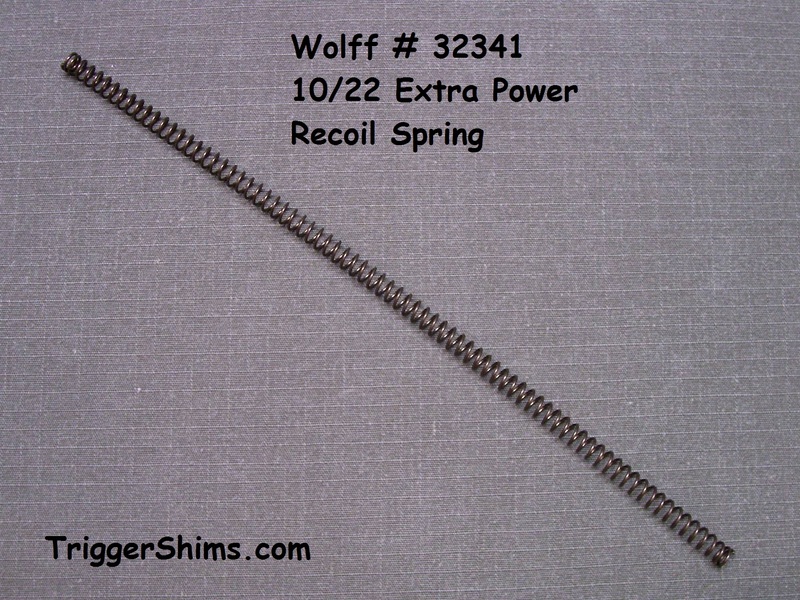 Includes everything needed to produce a light, crisp trigger for the 10/22: overtravel adjustable titanium trigger, two hammer and two trigger shims, extra power hammer spring, extra power disconnector spring, extra power trigger return spring, sear assembly pin, and trigger pivot pin. This kit is sold and shipped through Brownell's - click the picture to go to Brownell's Power Custom Page.